You know, sometimes you just need to craft! 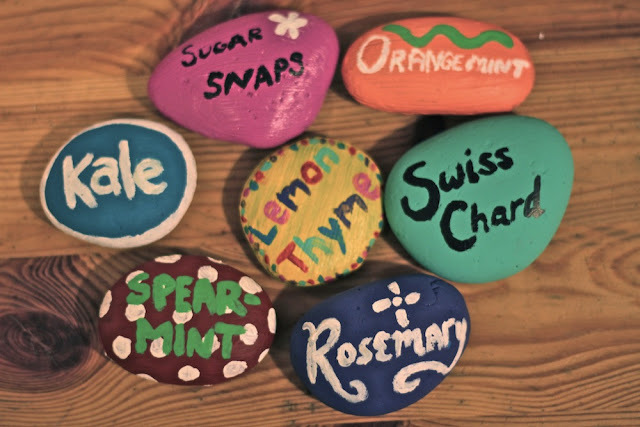 Without much of a plan but with rocks and a ton of colorful paint, we recently sat down and had a wonderful crafting night. 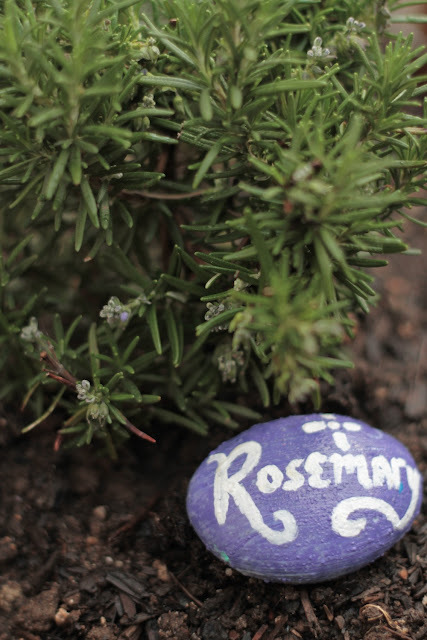 We’ve recently planted some new veggies and herbs in the Concrete Garden (our entire garden is essentially made out of concrete, so everything we do has to be rather creative), and some of them are somewhat unfamiliar-looking plants to me. So in order to make sure we know what is what, we made some colorful markers for each plant! Do you have unique plant stakes? I’ve seen them done with spoons before and would love to hear of any other unique ideas!